Are you trying to lose weight? If your answer is yes then you probably want the fastest results possible. First of all, to save your time and effort you have to avoid fad diets. These diets bring quick results but there is a high possibility that the weight will return once you go back to your normal diet. It is also likely that you will gain more weight than you lost. You have to focus on long term results and make sure that you will be able to maintain the weight loss permanently. With a good diet and exercise program, you can safely lose 3 or more pounds a week. 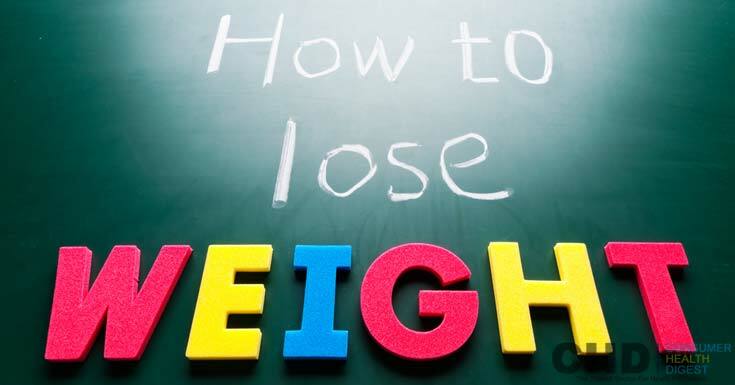 Here are some tips on how to lose weight safely. Diets that involve low carbohydrate intake are popular because they are really effective. There are many clinical studies proving the effectiveness of low carb diets. One such study published in the Journal of American Medical Association found that people who cut back on carbohydrates generally burn more calories compared to those who just cut back on fat. The study was conducted on 21 obese participants aged 18-40. Each participant burned about 300 more calories a day on a low carbohydrate diet than they did on a low fat diet. You should avoid starving yourself if you want to lose weight. This is why snacking is a good idea when it comes to weight loss. You just need to make smart food choices and eat foods that are low in calories and carbohydrates. When you starve yourself, there is a high tendency that you will give in to your cravings and it is very likely that you will binge on unhealthy foods that contain a lot of calories and fat. This can completely devastate your weight loss program. The best weight loss diet is one that is composed of real or natural food. Intake of processed foods should be minimized or completely avoided if possible. Processed food contains a lot of sodium, saturated fat and other preservatives that can wreak havoc on your diet program. To lose weight, it would be better to eat a diet high in fibrous foods like fruits, vegetables and whole grains. Fiber helps you eat less since it makes you feel full sooner and for a longer time period. Your weight will fluctuate due to a variety of reasons. It is best to weigh yourself only once a week. It would be better to rely on measurements like your waistline or to have your body fat checked accurately. When you just rely on your weight to measure your weight loss, there is a high chance that you will be disappointed especially when your weight doesn’t change. This can happen even when you’re losing body fat like in the case when you’re gaining lean muscle from weight training. You need to have realistic expectations. If you expect to lose 10 or more pounds a week, you’re just setting yourself up for failure. For people who are just a little overweight, the normal healthy weight loss is around 2-3 pounds a week. People who carry a lot of excess weight can lose more depending on how overweight they are. If you want to lose weight fast, you should avoid alcohol intake and minimize consumption of meat. Alcohol contains a lot of calories which can be the reason you are not losing weight. Meat usually contains a lot of fat and calories. If you can’t avoid eating meat then you just need to choose healthy food options like lean beef, chicken and turkey. Artificial sweeteners are a lot sweeter compared to sugar. Studies indicate that foods and beverages that contain artificial sweeteners cause cravings for more sweet food which can be detrimental to your weight loss. Artificial sweeteners are also relatively new and the long term side effects are still not known. Some studies found that artificial sweeteners have serious side effects on certain people. High levels of stress cause the release of the hormone cortisol in the body. This hormone promotes weight gain since it enhances food cravings and usually makes a person overeat. Cortisol is also strongly linked to the storage of fat in the abdominal area. You can manage stress by practicing relaxation techniques like meditation and breathing exercises. Sleep is very important since lack of sleep makes you more prone to overeat and negatively affects your metabolism. Nuts are high in fat but these are considered “good fats”. Nuts are an ideal snack item since they are very filling and also contain a high amount of protein which is helpful if you want to lose weight. Just avoid the salted and fried variety. Dairy products are high in calcium which plays a crucial role in the process of converting stored fat into energy. Vitamins and minerals play an important role in normal body functions. This includes the metabolism and the process of converting body fat into energy. One example is vitamin C which helps reduce stress and prevent the storage of fat in the belly area. Other vitamins and minerals important for weight loss are B vitamins, vitamin A, calcium, chromium and zinc. If you want to lose weight fast, you need to choose your exercise program wisely. Studies indicate that the best forms of exercise are interval training and circuit training. These types of exercise promote burning body fat and are great for fast weight loss. Most people think you need a lot of time every day for exercise which is not true. You don’t need several hours a day for exercise. With these types of exercise all you need is a maximum of 30 minutes at about three to five times a week. One of the best ways to increase metabolism other than using a good weight loss pill is by eating spicy food. Studies have shown that spicy food can boost the metabolism for a couple of hours after the meal. This is because of the compound capsaicin which is responsible for the heat of hot peppers and other spicy food. This is a common ingredient used in fat burners and weight loss supplements because of its effectiveness. Spicy food also has an effect in reducing food cravings which can be beneficial if your goal is to lose weight. Sometimes, even if you do everything right weight loss is still very difficult. This is usually because you are stuck with a very slow metabolism which makes it easy to gain weight and difficult to lose weight. In other cases, it is just too hard to control food intake especially when you are used to eating anything you want. 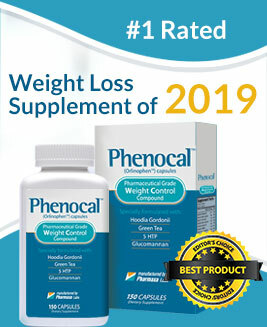 In these cases, you need to find the best weight loss pill which can increase your metabolism and help you control your appetite. Make sure that the product you end up purchasing is safe aside from being effective.